Hair means different things to different people. Some people use their hair to show off their personalities. Others view their hair as a point of pride. It’s something they invest a great deal of time, money, and attention toward maintaining and styling their hair. For those beginning to notice thinning hair and other signs of hair loss, it can mean everything. These are a few tactics The Chicago Tribune recommends that have netted some real results for preventing hair thinning and hair loss. A protein deficiency can cause hair to become thin and brittle. Eating more protein can boost the keratin (a protein) leading to healthier hair that is less prone to breakage. At the very least, develop new methods to deal with and relieve stress so that it stops taking a toll on your body. 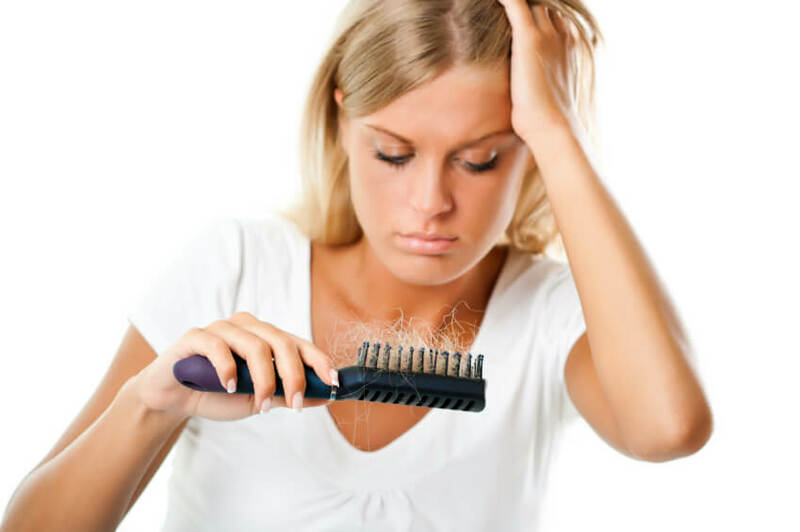 Any kind of stress, including illnesses, accidents, surgeries, and work-related stress can cause you to shed hair quickly. The good news is that hair loss caused from stress is temporary. Relieve the stress and your hair will begin to grow again. Yoga, meditation, and hobbies are great stress relievers to consider. Anemia, a condition caused by iron deficiency in your diet, can cause a wide range of symptoms including fatigue, pale skin, headaches, dizziness, and cold hands and feet in addition to hair loss. Medical supervision or iron supplements may be required to remedy this. Weight loss, something many people strive and work hard to achieve, can also result in temporary hair loss. As long as you are following a healthy diet and lifestyle, your hair will recover in time. Make sure you’re getting plenty of healthy foods in your diet and your body will recover from the shock of the loss quickly enough and your hair will regrow. The heat used in hair dryers, straightening irons, and curling irons isn’t exactly healthy for your hair. Nor are the ingredients in hair color, mousse, hair sprays, etc. Go style free for a few weeks and see what a difference it makes in the texture, shine, and fullness of your hair. If these things don’t provide a bit of a boost to your overall hair health, consider Metropolitan Vein and Aesthetic Center, which offers an excellent resource for getting hair transplants, NYC. Call Metropolitan Vein and Aesthetic Center today at 914-295-2202 for your consultation.